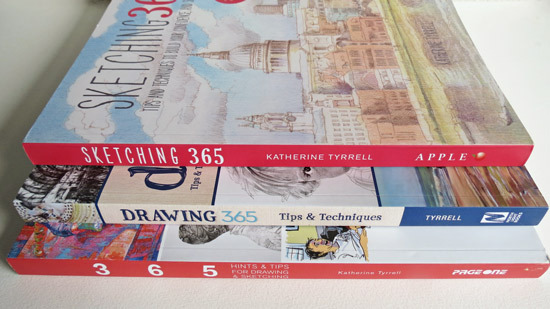 The HP surfaces of Fabriano Artistico and Fabriano 5 have changed. (The latter being the paper which is used in the RKB FatPad) . 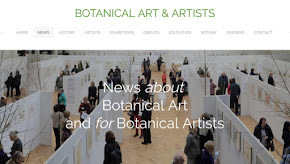 A number of botanical watercolour artists have recently reported that they have noticed changes to the robustness and performance of the surface of their Hot Press paper from Fabriano. 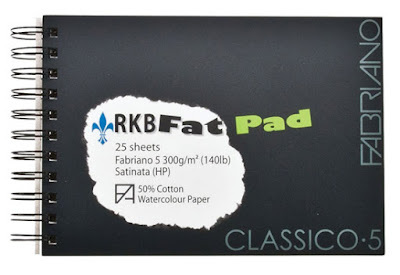 This was also reported by Jacksons in its recent blog post Fabriano 5 Paper Texture Change. While such a change in machine settings is very unlikely to be noticed by those using Rough or Not surfaces - this is not the case for those using Hot Press paper. When you are an artist who's looking for the smoothest watercolour paper known to Botanical Artists, there's more than a few who can easily detect any difference in quality very quickly! who are very experienced watercolour painters, who have been painting in the exact same way for some time. When using their own particular techniques they spot very quickly when a paper has changed. who do not make things up! who return paper or stop buying it when it does not perform as per usual! 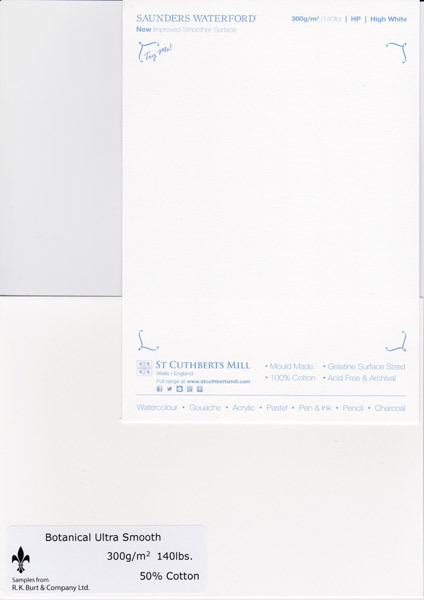 The paper is mould made with 100% cotton, chlorine and acid free and archival. It is sized both internally and externally. It comes in two colours Traditional White (an ivory shade) and Extra White (white with a very pale cream tint) which are both made without any optical bleaching. It has two deckle edges and is watermarked “FABRIANO+ARTISTICO” on the short side. It's available as both sheets (56 x 76cm and 75 x 105cm) and and as glued blocks. The paper is mould made, acid free and comprises 50% cotton and 50% other raw material. Adverse comments and complaints are tending to come from those who have bought in new stock in the last few months. Obviously those artists who are still working off 'old stock' or buying from suppliers still holding 'old stock' will not yet have noticed a difference. When they say the surface is not smooth, their comments suggest that it does not remain consistently smooth or stable when WET and used for watercolour painting. In other words in any quality assessment of the smoothness and stability of a surface for watercolour painters this MUST be tested when wet as well as when dry - and with paint being used on the surface. or the length of the cotton staples used. I'm unclear whether any of these have also changed. I'm making this suggestion because it's always seemed to me that the differences between watercolour papers in terms of absorbency and how the surface breaks up are almost always down to the size and the materials used to make the paper. The smoothness is a mechanical process which is down to a combination of the machine used and any coating. I've had a long email conversation with a representative of Fabriano in which I asked them for an official comment on the changes which artists are noticing but the company have declined to provide one. I recognise however that they have a commitment to quality and to understanding better why artists are noticing performance issues not detected in the factory. Many of you will not be aware of R K Burt. That's because they don't sell paper direct to you. R K Burt are the wholesale distributors of very many quality art papers to the retail suppliers of fine art paper in the UK. These are the people who negotiate with the paper manufacturers and then supply the retailers that you buy from. They don't have a shopfront and they also work on the basis of minimum order requirements. Interestingly R K Burt were the people who persuaded Fabriano to reintroduce the Fabriano Classico 5 paper after it was discontinued some years back. This is a paper much loved in the UK - maybe because of its use in the RKB FatPad. R K Burt also acts as a spokesman for quality control! 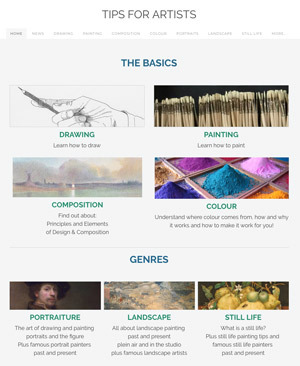 Their representative has recently been doing a stirling job highlighting the issues raised by artists about the quality of surface of Fabriano paper direct with the manufacturers - with a view to getting them resolved. They've also come up with two new papers. Subject to testing of sample sheets by the exacting standards of botanical artists - and any subsequent refinement required - it may well be that these are the papers that can meet the requirements for a paper which will deliver what is required in terms of surface performance. This is HP | "High White" | 300 gsm2 / 140 lbs. It's 100% cotton, mould made, gelatine surface sized, acid free and archival. (I assume a 300lb / 640 gsm2 paper will also be available in due course). The "High White" sample I have is also the exact same colour as Fabriano Artistico Extra White. They are also producing a version called "White"
Botanical Ultra Smooth is 50% cotton and is (I think) a smoother version of Fabriano 5. Interestingly although it doesn't show it in this scan, the Botanical Ultra Smooth is actually whiter and smoother than the new SW HP paper. If you want to try the new papers you just need to contact R K Burt. It's absolutely ESSENTIAL for those producing fine art paper that they understand the artists' experience - and factors in use (i.e. when wet - and when paint is being pushed around) that can't always be measured by a machine in a factory on dry paper. 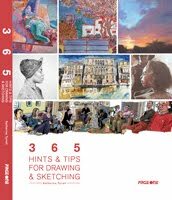 The important thing now is for all artists using EITHER Fabriano OR the new two new papers from St Cuthberts Mill to feed back about their experience of using the paper to R K Burt and/or either of the two manufacturers. a description of the type of use eg wet on wet; dry brush etc. I'm convinced that any problems faced at present will be resolved in due course. Hopefully sooner rather than later! 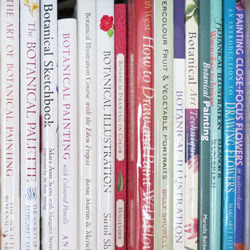 Which manufacturer stands to benefit will, of course, depend on who produces the quality of paper that the majority of botanical artists - and others doing fine detailed work - demand. I'm curious as to why you haven't mentioned Arches HP as an alternative? 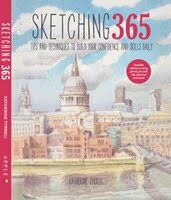 It's an excellent paper - although more expensive than Fabriano, and comes in 300 & 640gsm. There are all manner of other Hot Press Papers by very many paper manufacturers. They all have their own individiual characteristics and some suit some techniques/artists and not others. Arches is actually a very different sort of HP paper when compared to Fabriano. What I'm hoping with this post is we'll get some recommendations from artists as to which HP paper they prefer for PRECISION PAINTING. I'm certainly not averse to people highlighting other papers far from it. However it would be very helpful to have people's opinions as to precisely what they are good for i.e. 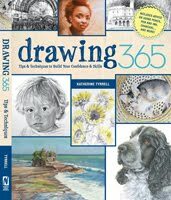 what sort of watercolour techniques they will suit. I'd really like to hear what the difference is between the papers mentioned & HP Arches. I thought the latter was the smoothest rag wc paper, but if these are smoother I'd like to know about it! It's not just Hot Press paper. While I am still amateur enough to blame bad results on myself, at a workshop I attended in 2011 a professional, well-known artist told us that most watercolor paper is now being processed differently for cost reasons. In his particular style, when using sable brushes on the new Cold Press paper, he has trouble with previous washes lifting with multiple applications of paint, just to mention one of several problems. This artist has experimented with the top brands, and that doesn't seem to make a difference. He has had to change to synthetic brushes and rework his style of painting in order to work with the new papers. 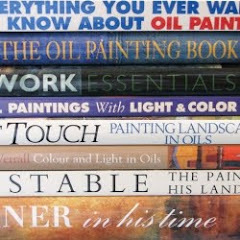 He recommends 1) Buy all the "old stuff" you can (4 deckled edges); 2) Try synthetic brushes on the "new stuff" (2 deckles) and be prepared to make adjustments to your process. Many years ago I painted flowers in watercolour, very loosely on very wet paper. I relied on the heavy surface sizing on the Fabriano HP paper to keep the paint from going everywhere. After using the same approach very successfully for ages, suddenly it wouldn't work any more. When I enquired at the suppliers, I was told that Fabriano had changed the sizing - there wasn't a 'demand' for the paper I liked. Hmm. I have recently been requested by several concerned artists, to look at this paper. It is my opinion that the issue is fundamentally with the ratio of sizing to the substance of the rag material used to make the paper. Its a case of it being out of balance. This is not unheard of in other companies, I have in the past returned batches of paper to different manufacturers for this same reason. It is common for only a small area of the paper to be affected. The issue with sizing can be sorted by trial and error and quality control. However, no amount of perfection in sizing paper can improve the actual basic cotton rag if an inferior quality is used for economic reasons. I suspect that the manufacturer of this paper in question, may find that sales drop off suddenly if artists are not entirely satisfied, which may eventually make any cost control exercise a waste of time (if that is what this is partly all about). In the end artists are always prepared to pay more to get the quality they want, if this is what is necessary to maintain that quality. I suspect that the old stocks of this paper will be in great demand now. Archiving paper has always been something that artists have done when they find something they like. I have papers going back as far as 1985, that are still pristine, which I still use. I first began to store paper as a student, when in the 1970's someone gifted me with some discontinued paper from the 1960's. Archiving paper is a useful thing for artists to do if they see themselves working with it for years to come. 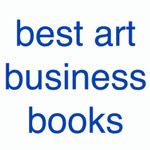 Archived paper also exchanges hands from artist to artist on a regular basis. Thanks for the info and paper recommendations. Currently on the hunt for a new paper after the change to Fabriano's hot pressed paper. I've found along with weird fabric like texture the new paper absorbs differently, resulting in chalkier and washed out colors. Tried painting on the back too (for the heck of it and it looked smoother) but it was even worse - washes would bleed out along the fibers (never happened before). Almost all of the Fabriano Artistico 300g/140 lbs pads I have purchased lately has faulty glue. I have been using them for several years without any problems, but now they all exhibit the same syptoms. Even though they are glued on all sides, they begin to come apart when I start to use them. Either single sheets, several at the same time, or the whole thing from the backing. This goes from the smallest ones all the way up to one I have in 30,5 x 45,5 cm, both in cold and hot pressed versions. I paint in the same way and use the same materials I always have, so I cannot see any other explanation than faulty manufacturing. Has anyone else experienced this? Hi , thank you so much for this "blog" I was beginning to think my skills as a Botanical artist had deteriorated , I have always used Fabriano in the past and never had a problem , however I recently purchased a sheet of Fabriano artistic 300g and bought new schminke Horadom watercolor paints to a painting for an exhibition , what a nightmare , I experienced the same problem as commented by "DA Best" I am using sable brushes and the paint of the layers below my new layer keeps lifting off , it is taking me a long time to paint some dark green leaves ,not to mention that it is destroying the quality of my work as I keep having to try correct areas! 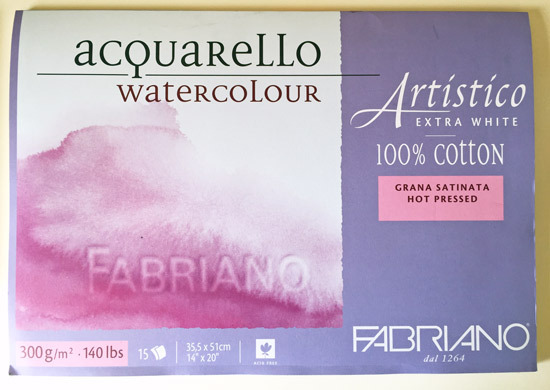 Does anyone know if Fabriano has fixed this issue ( it is now almost a year since this blog") Ipresume that I have been unlucky and have purchased an old batch of paper, if they haven't I will have to switch to another brand , perhaps I will try arches 340 g hot pressed ? The best advice is to try a range of other papers and find the one that suits you best. I'm so glad I found this discussion. I thought I was going mad. I use Fabriano Artistico 140 lb in many forms - 22x30 sheets, blocks and huge rolls. The large rolls seems to be unaffected by the faulty sizing but the 22x30 sheets are making me crazy. I'm so disappointed in this paper. I started using this paper when I was an art student in Florence, Italy for a semester in 1993 and took my first watercolor class so I have an emotional draw to this paper as well as professional. I guess I'll have to try another brand for my 22x30 works. Bummer. But at least I now know (thanks to this blog) that it's not just me. It may be the case that the large rolls were made prior to the change in the set-up. I'd be interested to know when you bought the large roll. Future trash , i totally understand your emotional pull towards this paper, i to started using it as a student in 1987 and have tended to stick to it ever since , that is until my recent disaster! i am now trying a Arches HP 340 GM Paper , i use a fairly dry technique but as this is a bigger piece that i am working on , i have had to do some "wetter washes"the paper is holding up well , although it is not as smooth as the Fabriano HP, I have also tried 'Arches 140 gm HP "the texture is nice and smooth but unfortunately buckled even using dry washes , so possibly this weight of paper may need to be stretched, hope this helps! I've been buying the large rolls about 2 or 3 per year for the last 9 years. I will say that I had this problem once about 8 years ago with a roll too - but I didn't know what it was then. I make a pen and ink drawing on a piece about 50-60" wide and didn't start watercoloring it until maybe a year or more later. The watercolor just sunk into the paper almost as if it were a sponge, leaving a dull, dried mottled look - same as what's happening in the 22x30 sheets. Essentially ruined the drawing.I thought storing the drawing for a year before watercoloring it affected the external sizing but that hasb;t happened on subsequent drawings I've watercolored a year later. Now I guess it was likely a faulty section of the paper on the roll. I hadn't even thought much about it until recently when it's been happening on 22x30 sheets. I bought 20 sheets via Amazon/Jerry's Art-o-rama and now I'm afraid to invest time into working on those sheets. I'm pretty angry because I can't imagine they'll take back the paper since I didn't discover the issue until a month or more after I received the sheets in the mail. I'll do that - thanks very much! Funny coincidence that I started botanical work just last spring! I appreciate what you've said about these paper manufacturing changes. Maybe they can't make certain textures/surfaces anymore because they don't have the same machines or materials? Ironically, I am not a precision watercolorist, nor is my husband, also an artist. Paper sizing, texture, etc., however, affect our work in different, though no less frustrating ways. Sizing is critical for alternative process photographers. He works in gum bichromate and I work with cyanotype; I also work some with watercolor, casein tempera and quite often soft pastel on sanded card, watercolor papers prepared with ground, etc). I like the hot press for details in cyanotype printing. Sometimes, though, the paper "fails" in places causing ugly spots in my work. For my husband, poor sizing or paper texture affect the way the emulsion layers go onto the surface, exposure times and the release of unexposed areas in the print during development. If the paper texture or sizing aren't right, he'll get staining in areas he doesn't want staining. Sizing for a gum printer matters. My biggest rant is the way these manufacturers change a good product in a not-good way or just drop it altogether, leaving those of us with specific functional needs without a good supply solution. My issue (how I found your site) is one that I am helping my husband with. They discontinued Fabriano Uno (all weights) years ago, which had a much better rough texture paper than the Artistico 300 lb he has tried. The Artistico rough 300lb looks like it has been shot up with a beebee gun. The cold press is a bit closer to the Uno rough, but still not the nice, regular texture of the Uno. I am hoping (against hope) that someone has old stock I can buy of the Uno, but I know it's unlikely. He used his last sheet the other day that he'd been saving for the perfect project, and now does not have anything he's entirely satisfied with. Whatever he finds must be AKD-sized. Gelatin sizing does not work. If you have any ideas about another paper with that texture, let me know. He needs 300 lb for the current project. Have you tried seeing whether any of the handmade paper people can help?